Ladies n gents, our ginger prince has unbelievably managed to nab himself a beautiful American actress in an emboldened step away from the golden grain of monarchial marriages via a transatlantic love affair. Way to shake things up, old boy. Edward VIII is surely writhing in jealousy. But thankfully times have changed and our world is ever more diverse. It appears as though the royal family has learned to embrace change post scandals and improper liaisons. Anyway, it seems the local council is equally astonished by Harry’s achievement and as such, they have decided to be completely chill about anyone and everyone raving on the street (raving in the old-fashioned ‘rave-up’ sense of the word). 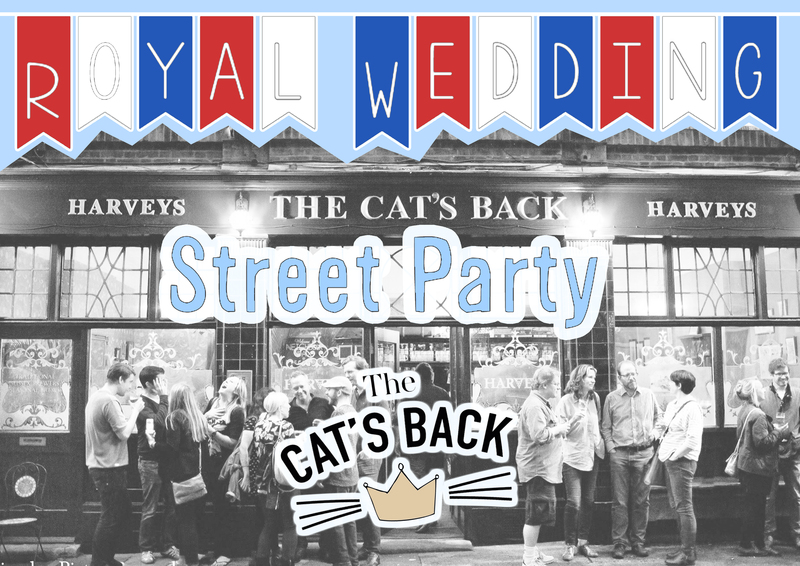 So we’re taking to the streets to party as provincial citizens in our United Kingdom in celebration of a Prince and his winsome bride. We’ll also be celebrating the end of the Fringe Festival, and the FA cup final, so it would seem like the residents of Point Pleasant have totally nailed the timing on this one. Why have three separate parties, when you can have one massive one? Plus, our friends from Wandsworth Radio we’ll be setting up a tent, and lining up some great music for you so that there will never be a dull moment on our street. Their stage will be arriving at 10am and ready to go by 11am to catch the coverage of the wedding right through to the moment they say “I do.” But not a minute after- because they’ve got seven acts for us to enjoy until the sun sets and we are all suitably merry. And as if that wasn’t enough, we’ve also got three Fringe shows taking place inside the pub, so whether you’re in or out, you won’t be short of entertainment. All of this is kicking off on Saturday the 19th of May, and believe us when we tell you this is one party that is not to be missed.